If you’re driven by heart-racing excitement suitable for the whole family, head to the Iowa Speedway in Newton on July 9 for the Iowa Corn 300! A premier racing event sponsored by the Iowa Corn Promotion Board (ICPB) and Iowa Corn Growers Association (ICGA), this marks the 11th year the Verizon IndyCar Series has raced at the 7/8 mile Iowa Speedway short track. This year the Iowa Corn Growers Association proudly celebrates serving Iowa Corn farmers for the past 50 years. 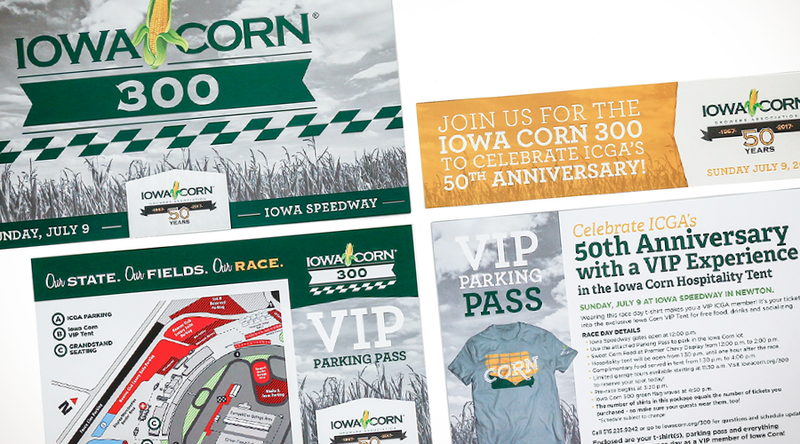 For the last three years, ICGA has partnered with Sigler to create a direct mail and email marketing campaign driving members to attend this important annual event promoting homegrown Iowa fuel. 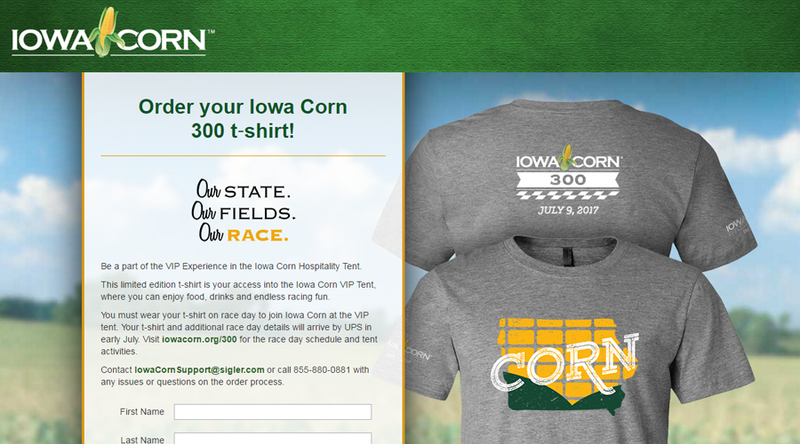 As an incentive, ICGA offers a complimentary Iowa Corn 300 limited edition T-shirt—which, if worn to the race—serves as a "ticket" to the Iowa Corn Hospitality Tent where members can enjoy free food, drinks and endless racing fun. The campaign kicks off with a postcard. Sigler develops unique codes for each member along with personalized follow-up emails. Members are directed to a custom landing page where they simply enter their unique code to redeem their T-shirts and select a size. With just a few clicks they are all set to enjoy their VIP race experience. 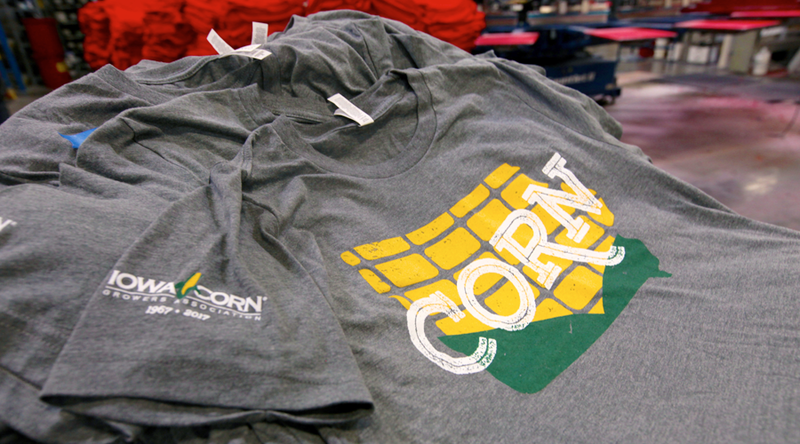 This year, 1,243 t-shirts were ordered through the custom online portal. 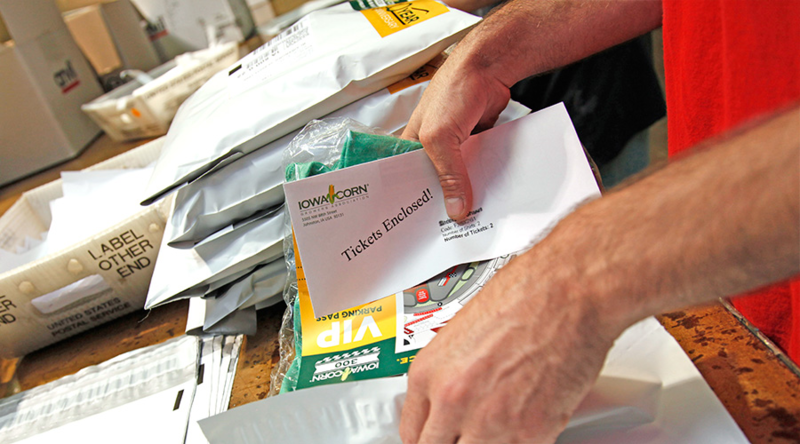 Sigler's Hand Assembly team fulfilled each member's order by carefully packaging each T-shirt, VIP parking passes and event tickets, shipping directly to the members' preferred address. From start to finish, Sigler is proud of our role in the "pit-crew," ensuring the success of the Iowa Corn 300! Green flag waves at 4:30 p.m. on July 9. The Iowa Speedway gates open at 12:00 p.m.